Terrific paragraph taken from Paul Johnson's review of a new biography of Nye Bevan. "Bevan was a big man, with a miner’s build: strong thighs, powerful upper back and neck muscles, and thick biceps. His head was noble, and he flourished it, when roused, with angry thrusts of his neck muscles. His silver hair was thick and floppy, like the plumage of an angry cockerel, and that too was part of his oratorical display. He was in every way an aristocrat of the mining valleys, a regal figure who challenged the world to commit lèse-majesté at its peril. He wove around himself an atmosphere of noli me tangere, and he drew intellectual men and women to him like a magnet." 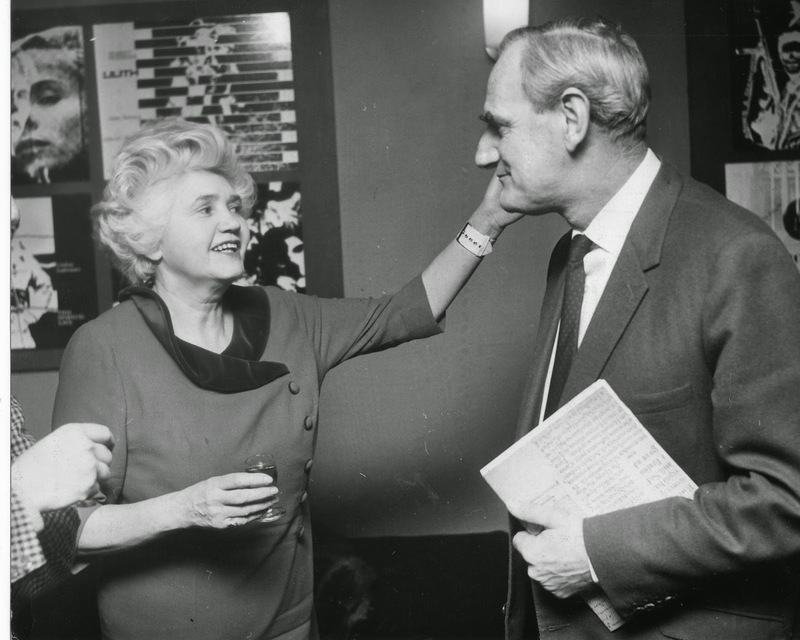 Jennie Lee (Mrs Nye Bevan) with another impressive Welshman, my Dad. The hand on the left belongs to Henry Moore.